The Jamie Lynn Sullivan Camp Scholarship was founded in 2002. 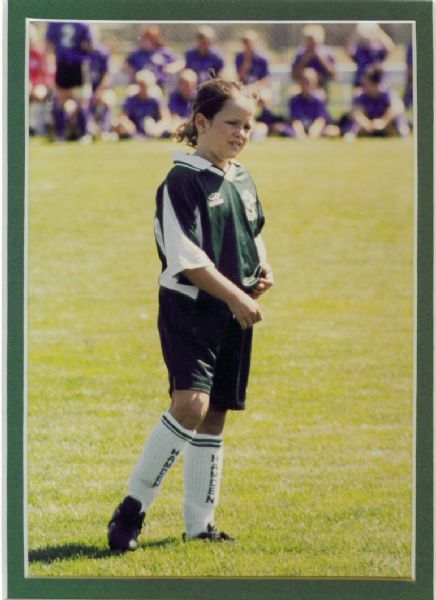 Jamie started playing soccer at the age of five. She was an active and dedicated member of the girls U-10 Devo Team. Jamie had a passion and true love for the game. Her idol was Mia Hamm of the U.S. Women’s National Team. Jamie’s love for the game, abounding energy and true sportsmanship made her a team leader who was respected by all - coaches and teammates alike. perform as a team player and have a love for the game of soccer. scholarship of up to $300 for the soccer camp of their choice.